Get Access Recovery Toolbox if you encounter data corruption issues, affecting the integrity of MDB databases, used by the Microsoft Access application. This program supports all available hw configurations therefore you may quickly recover corrupted databases of supported format and convert the data into clean and trouble-free documents of MS Access supported formats. Follow the guidelines of MDB recovery tool and get it for evaluation. Windows 98 and above is need. ...... MDB and ACCDB corruption, there is no need to look for the root cause of data corruption issue in your case. Access Recovery Toolbox provides the automation of all data recovery activities, so you should select the input document to be processed it is all you need. Please get the installer of Access Recovery Toolbox on your PC as soon as you encounter data corruption issues and click it to proceed like you do it with any other PC utility designed for the Microsoft Windows operating system. 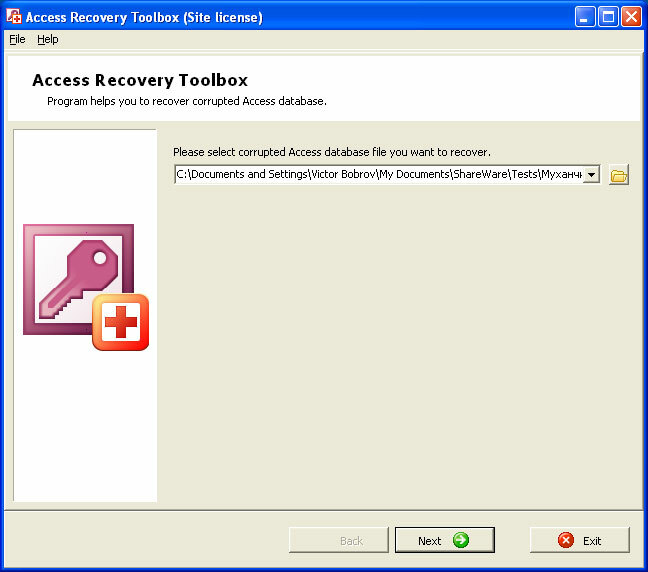 The friendly interface of Access Recovery Toolbox allows starting the analysis of ACCDB databases within several seconds after the installation of MDB recovery tool, just follow the directions of MS Access restore application, evaluate the interface of Access Recovery Toolbox and prepare to select a database of supported format to be parsed. Easily recover passwords for MS Access databases. Access password retrieval utility unprotects password protected MDB files. Recover lost or forgotten passwords for Access. Qweas is providing links to Access Recovery Toolbox 1.1.12 as a courtesy, and makes no representations regarding Access Recovery Toolbox or any other applications or any information related thereto. Any questions, complaints or claims regarding this application Access Recovery Toolbox 1.1.12 must be directed to the appropriate software vendor. You may click the publisher link of Access Recovery Toolbox on the top of this page to get more details about the vendor.